This past Saturday I attended my first ever blogger event, I was a little nervous but I'm so glad I was able to go. It was amazing being surrounded by wonderful bloggers who share the same passion that I do, I'm so thrilled to be part of an amazing community & the Texas Women Bloggers! It was a wonderful night, the food & wine was amazing, I met some wonderful ladies in person & I can not wait for our next blogger event! How special! I'm in awe! The idea of farm to table is great enough, but to have a special get together like this is so nice! 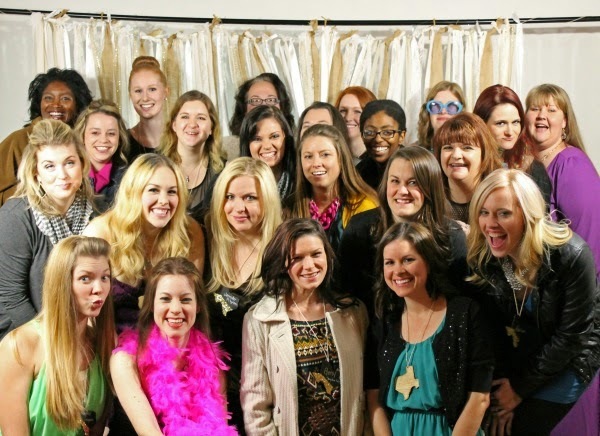 This looks like such a fabulous and fun event to meet other bloggers in your area! Glad you were able to go! Such a pleasure meeting you. I love all the pictures!! Jessica, it was so good to finally meet you and I'm glad to know your first blogger event was a success. We've got to do this more often!!!!! Great pictures of the event! It was so nice to meet you. Your blog is such an inspiration to me. :) Can't wait to do more fun things together!